Atlantic 12 is a publisher in Brussels. 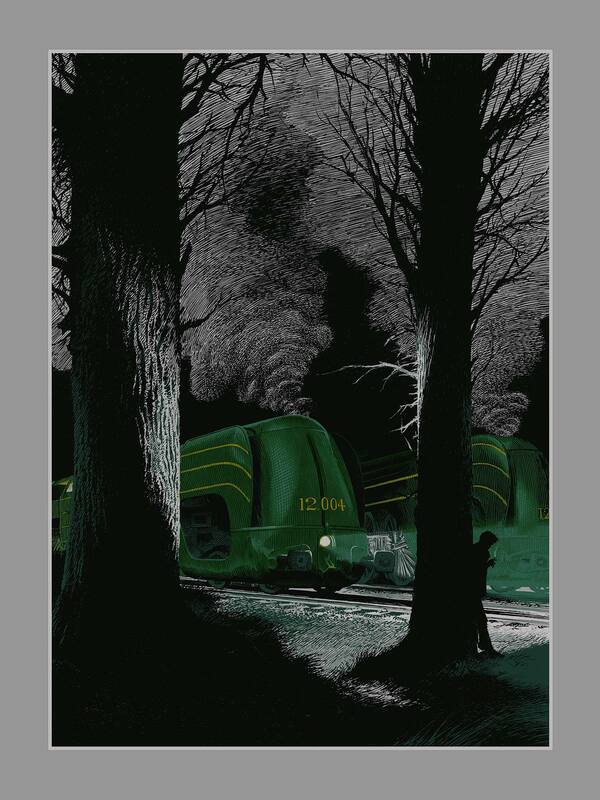 Its original goal is to publish reproductions of François Schuiten's drawings around the 'Type 12' locomotive. 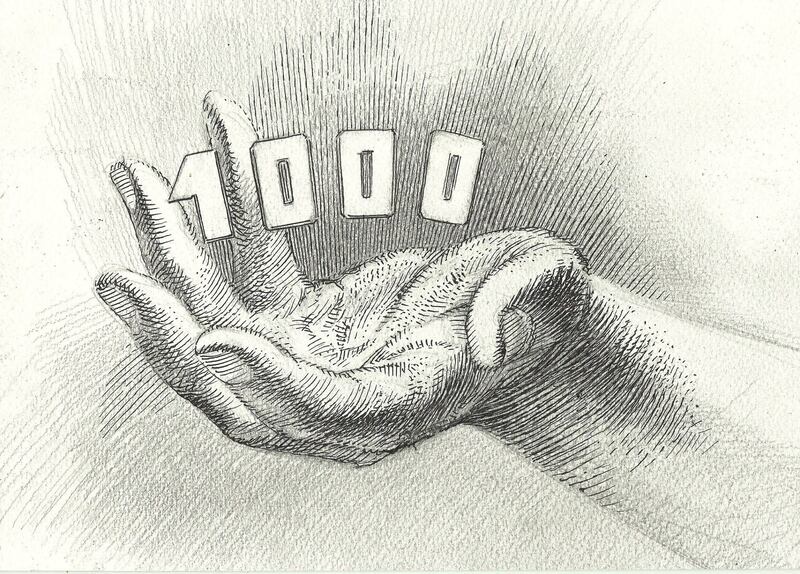 Later they published many other drawings by Schuiten. The company was launched in parallel to the opening of The Train World that should sale some of those reproductions (offsets, serigraphies and pigment inks). Some of those reproductions were also exposed at The Huberty & Breyne Gallery from September 10th, 2015. The Atlantic 12 website went live January 2016, but earlier its Facebook page showed already some image of La Douce artwork in progress. 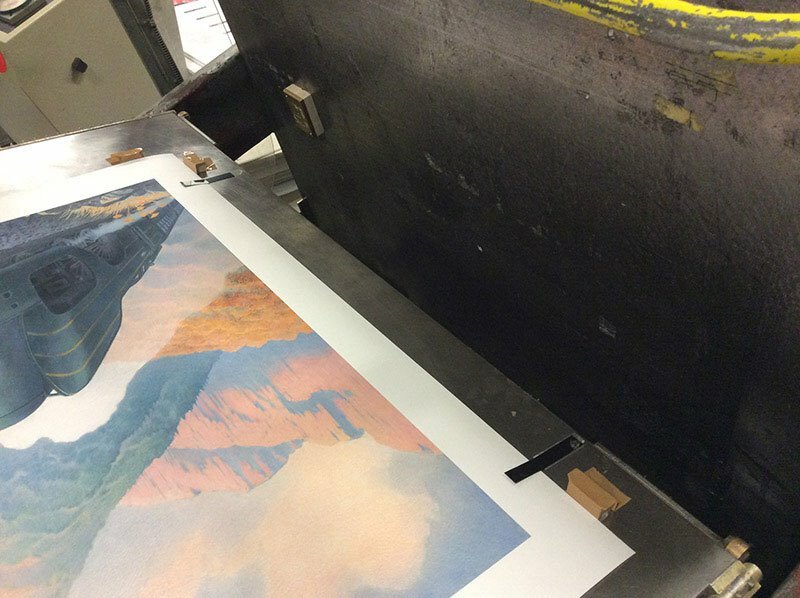 Their first two prints were 'La Type 12 - De nuit' and 'La Type 12 - Reflet', both by François Schuiten. 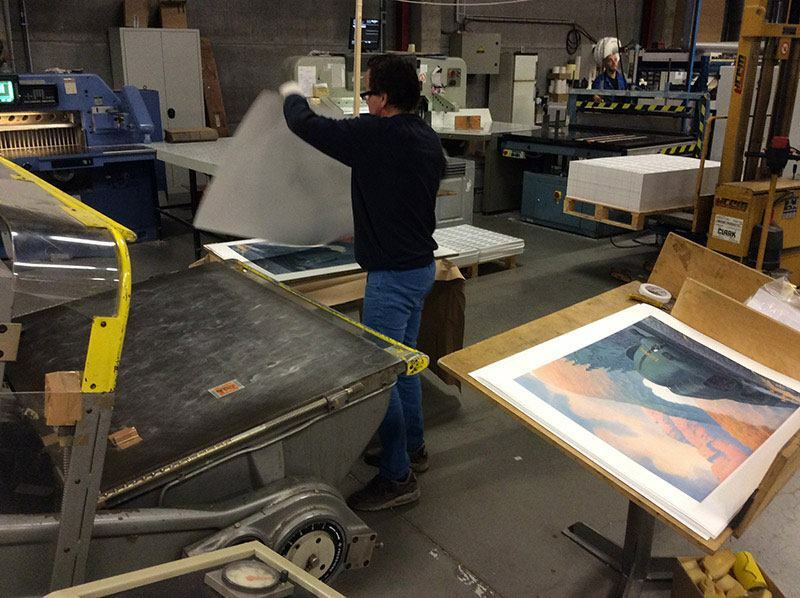 The prints are made on Modigliani Insize Neve 270gr paper. 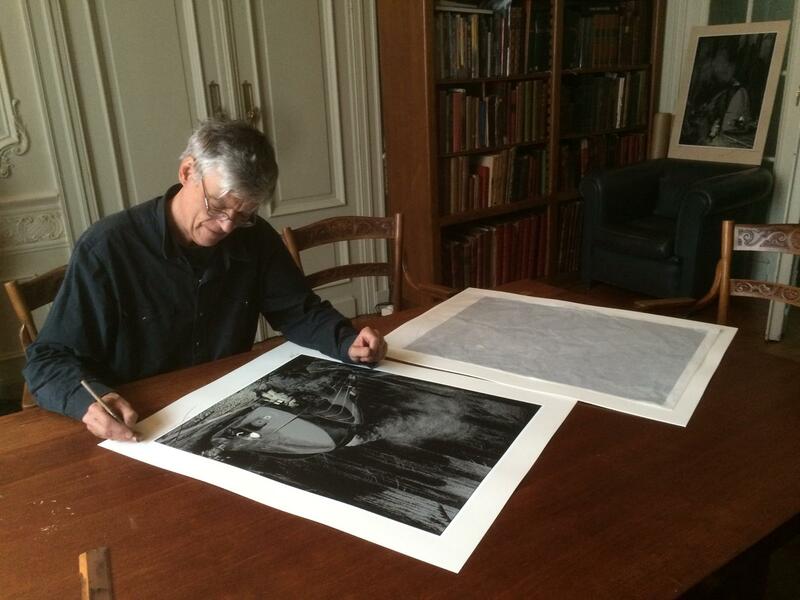 Both images are 50×70 cm and printed in an edition of 500 copies. Only 100 copies of each are numbered and signed by the author. Check out the four artwork pages with all the details of the prints. 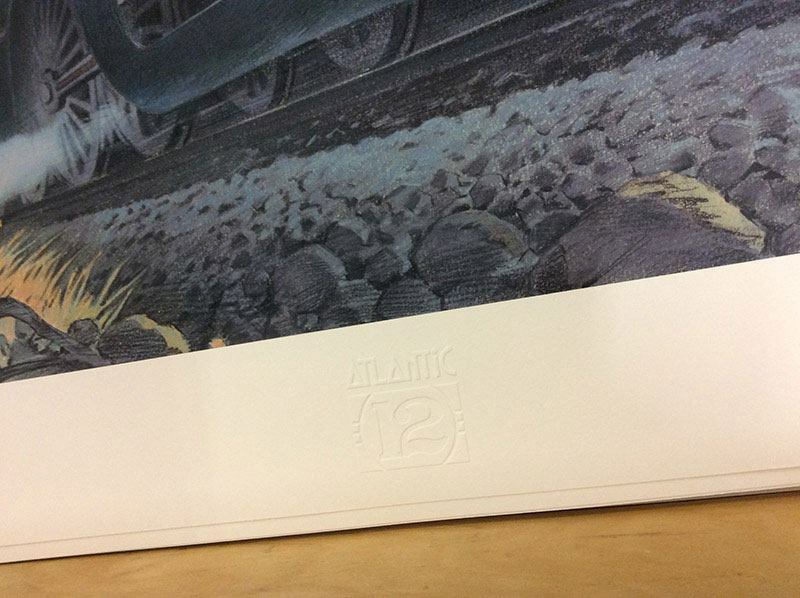 The image La Type 12 - En montagne features an 3D dry stamp with the logo of Atlantic 12. 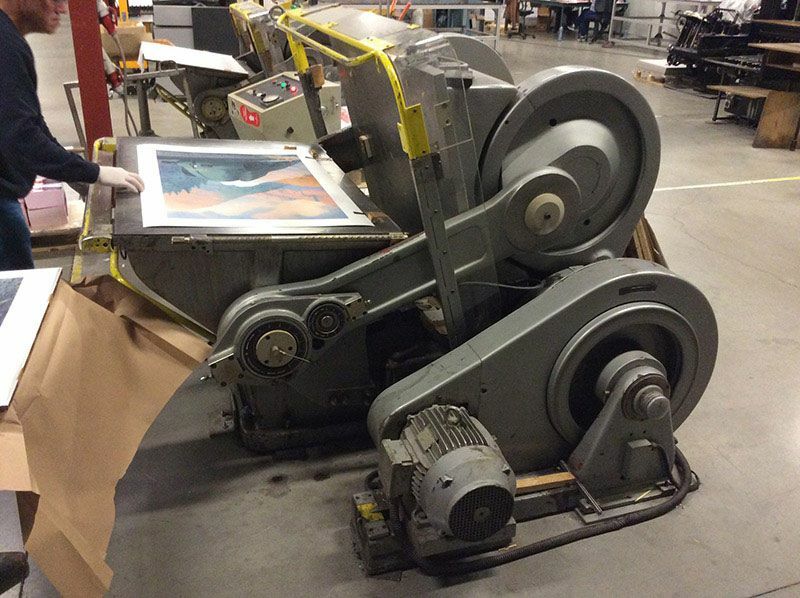 With a cliché and with 7.000 kg of pressure the logo is added to the 30 copies of the prints on a Titan 100/140 of 1991 (EX Graphing) press. 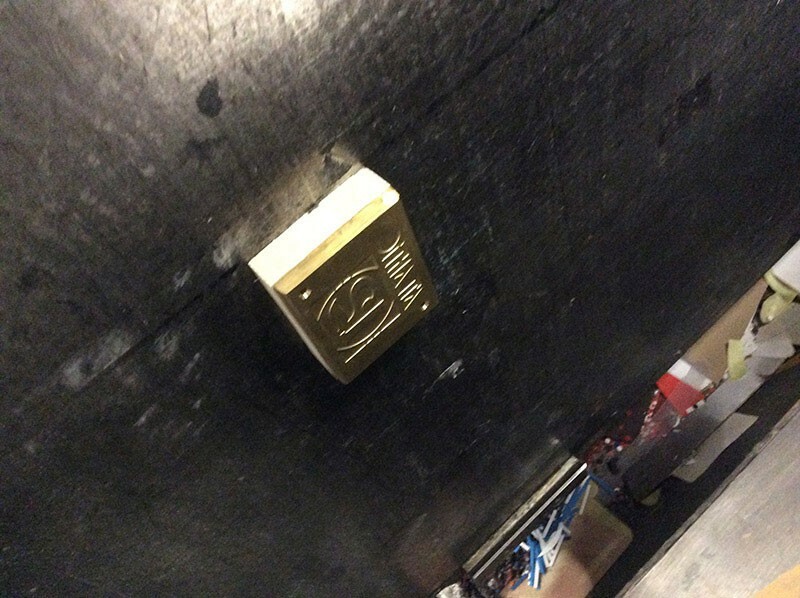 Besides the beautiful prints Atlantic 12 also works on a bronze object of the 12.004. You can see find more information about this project at La Type 12 Object. 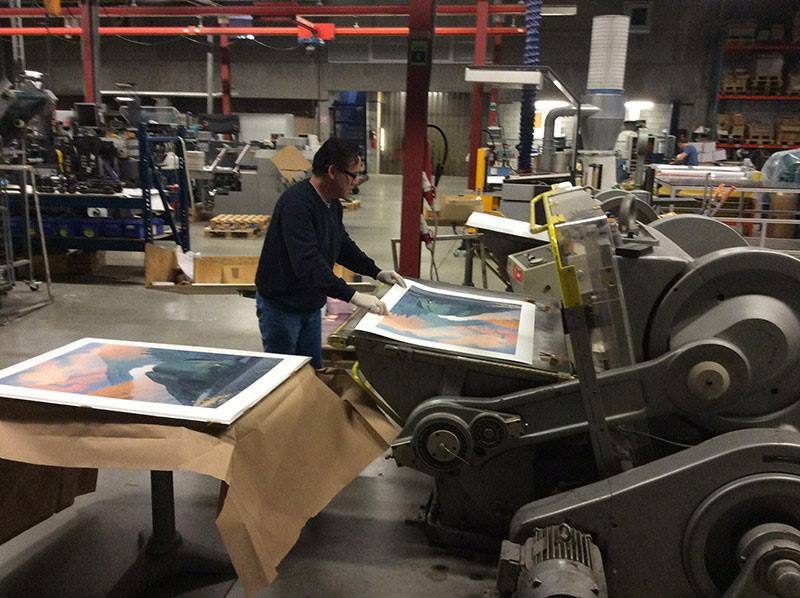 After the first batch of prints, Atlantic 12 announced in December 2015 two new prints. 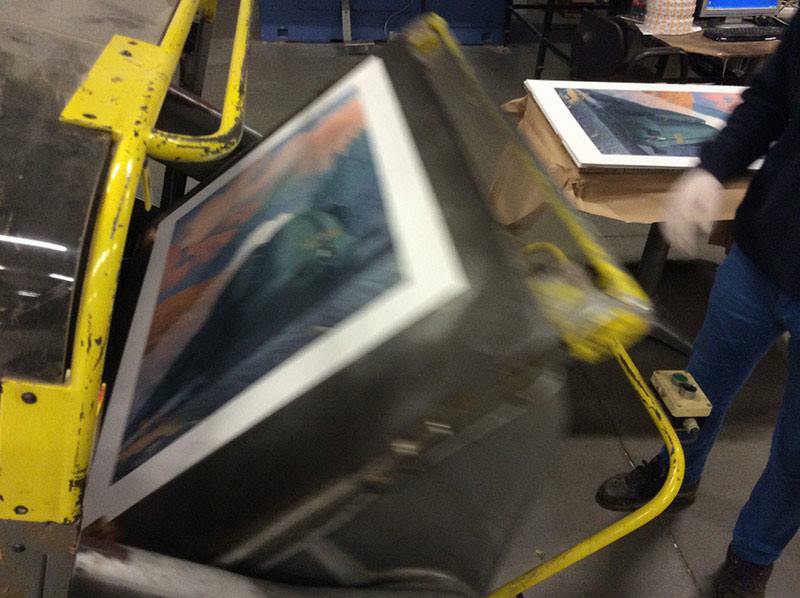 The first one is a new serigraph. The second one is another print with pigment ink, making it very close to its original. 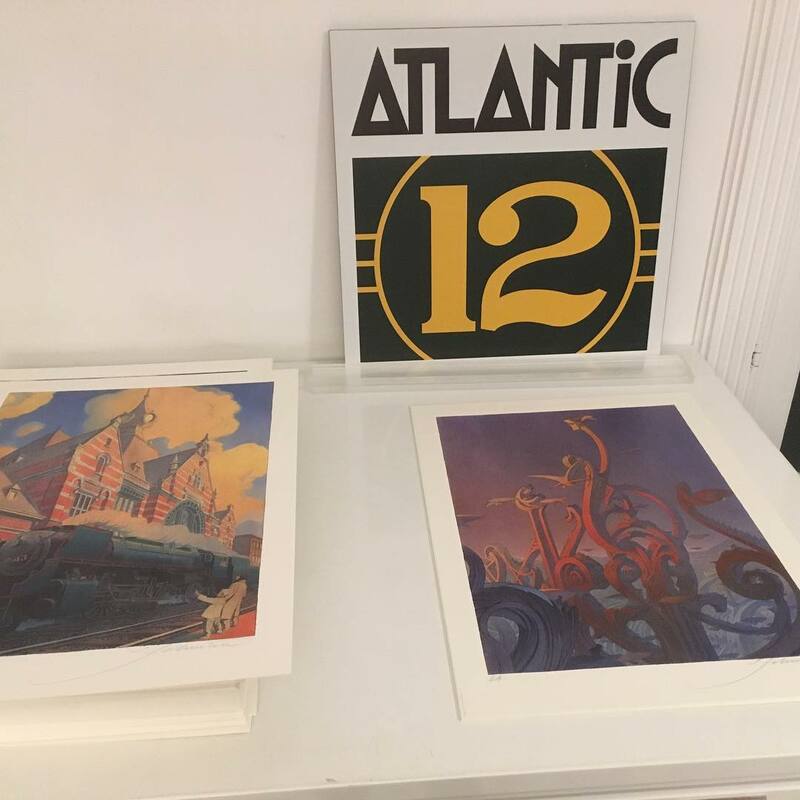 The prints of Atlantic 12 are for sale online at their website. 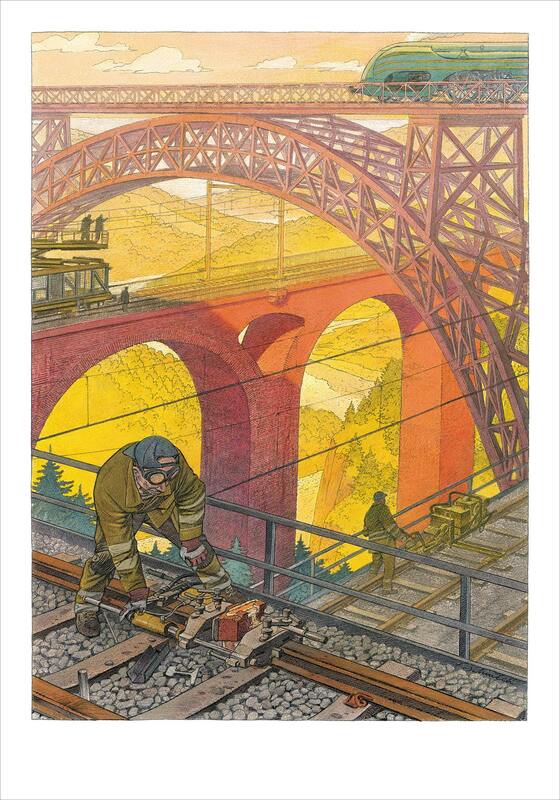 Atlantic 12's prints are also be available at the Train World and in specialized libraries as Brüsel and Slumberland.